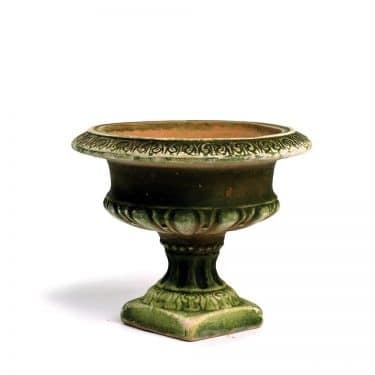 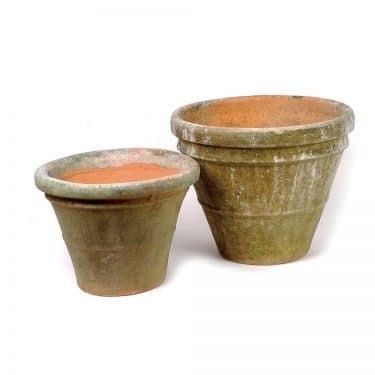 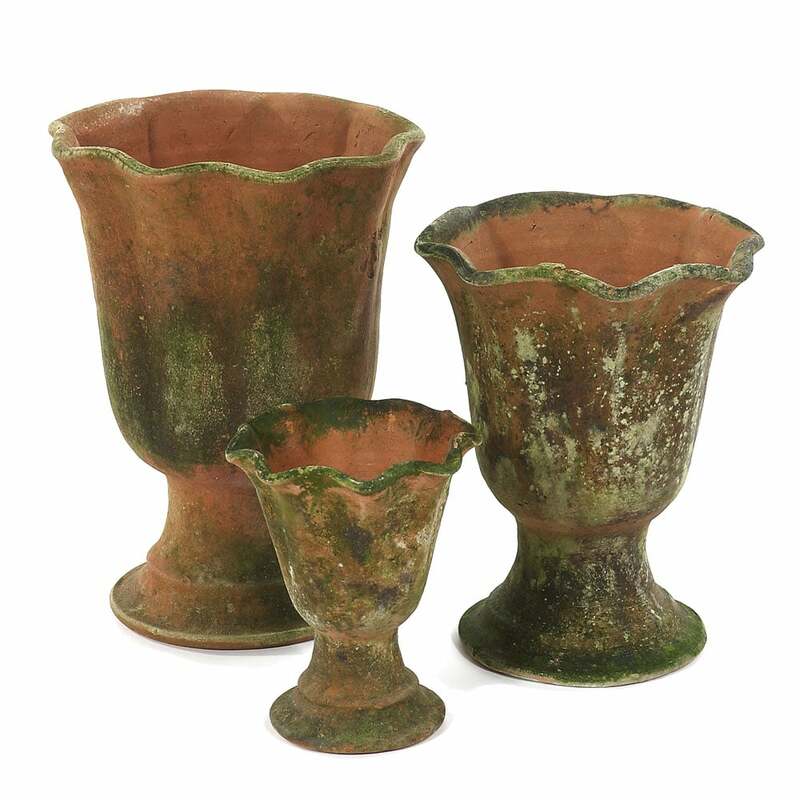 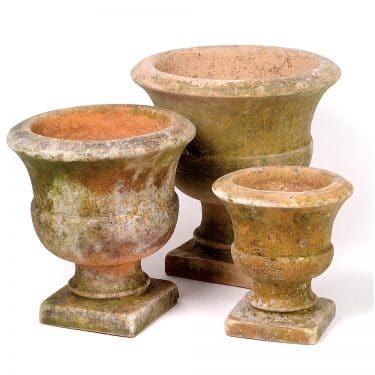 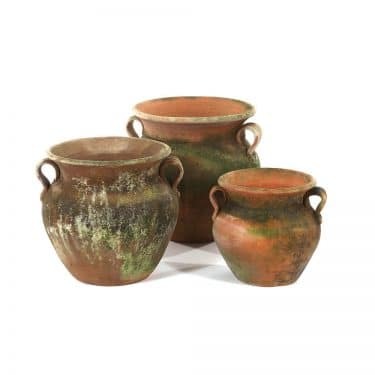 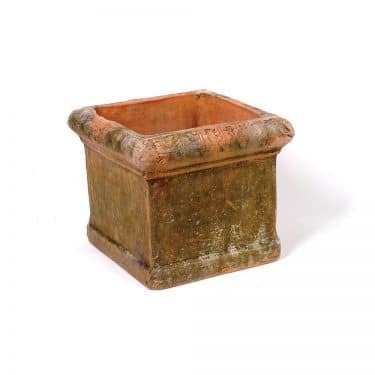 AGED ACANTHUS URNS | Campo de' Fiori | Naturally mossed terra cotta planters, carved stone, forged iron, cast bronze, distinctive lighting, zinc and more for your home and garden. 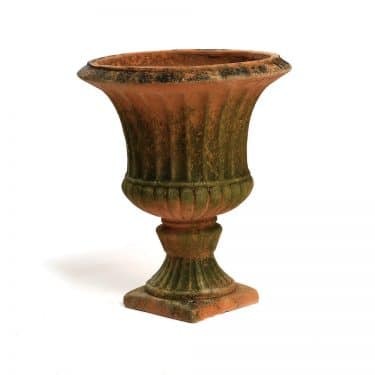 One fine day many years ago Barbara planted several Acanthus plants in this shape and we simple decided to call it the Acanthus planter. 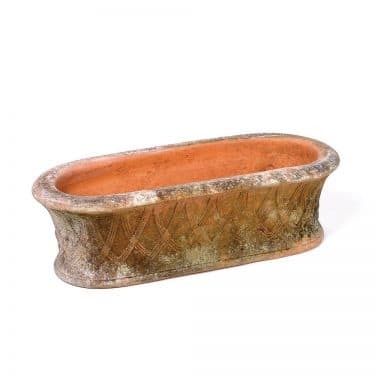 5"D 6.5"H - Fits Metal Saucer #2, or Terra Cotta Saucer #1. 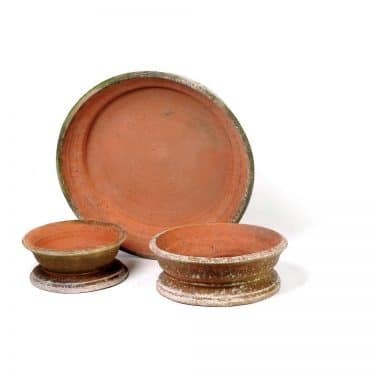 7"D 9"H - Fits Metal Saucer #4, or Terra Cotta Saucer #2. 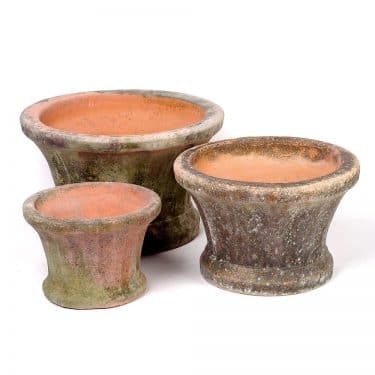 8"D 11"H - Fits Metal Saucer #5, or Terra Cotta Saucer #3.